The NEFF T16FK40X0 Ceramic Hob has 4 hobs, with one small, one large and two medium sized hobs, giving you a variety of sizes for different pots and pans. 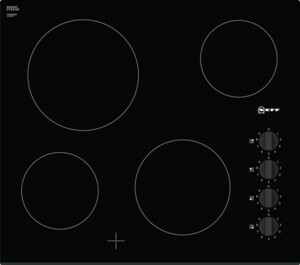 Use the easy to use side controls to control the intensity of the heat of each hob with 9 power levels for each one. 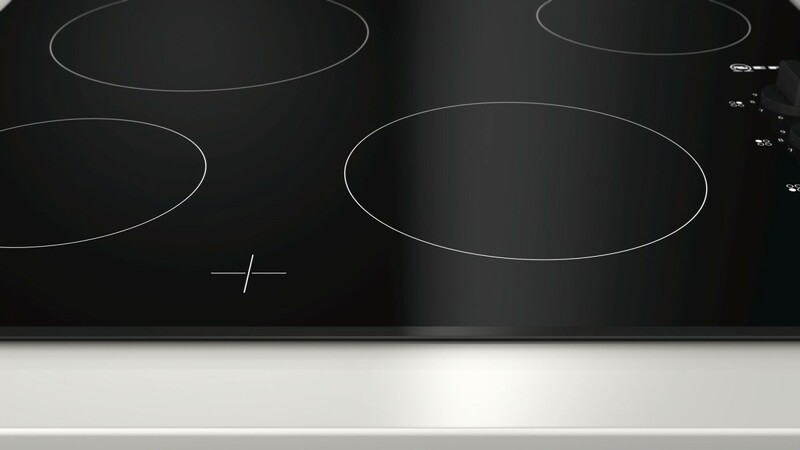 Residual heat indicators also let you know if the hob is still hot and you can use that residual heat to finish off dishes. With its smooth glass surface any spillages are easily wiped away saving you time and effort.